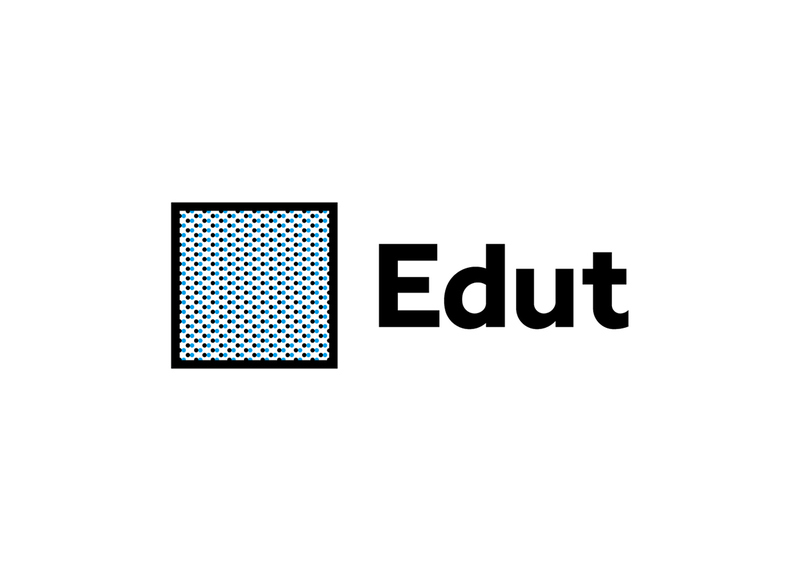 Edut is an educational content making platform for adaptive learning. 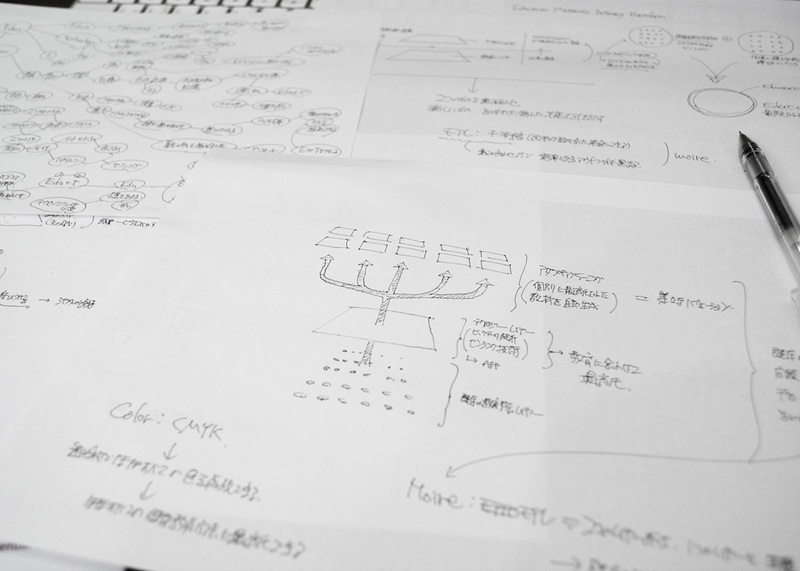 It solves problems that conventional education has been having by applying the big data analysis technology called sensing, which processes the characteristic patterns from data array. 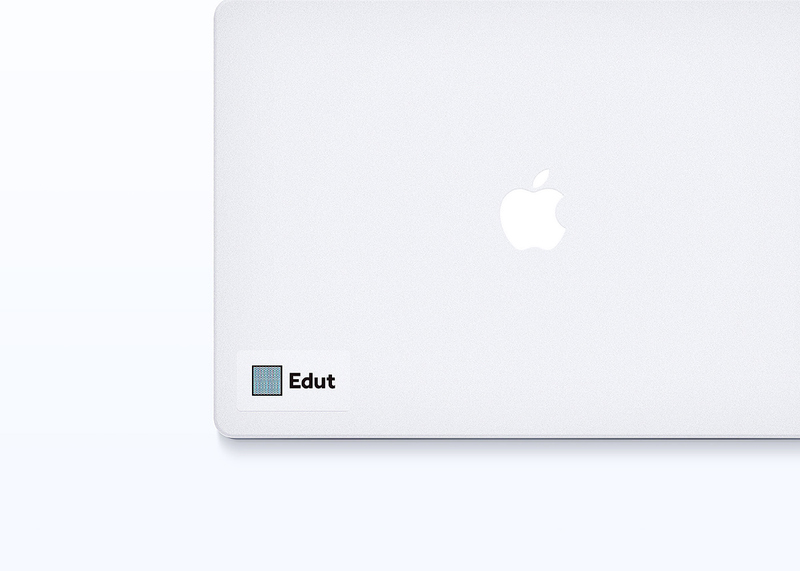 By uploading educational contents to Edut, education apps optimized to each person will be processed automatically for iPhone, iPad, Android, web services, etc. 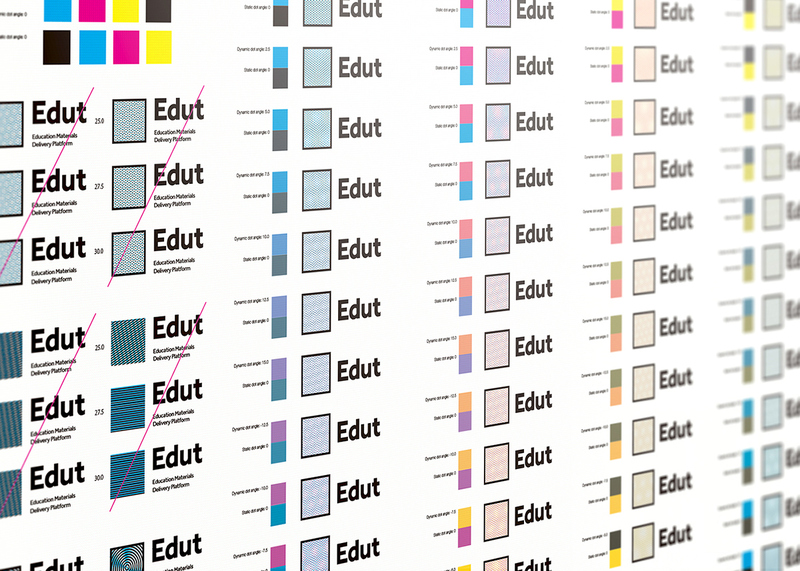 Edut won the grand prize in "Slogan Viling Ventures", the seed accelerator program for EdTech area in Japan. Enhanced Inc. participated in developing brand identity of this new service. Until today, teachers had to grasp each student's academic level as much as possible, and then provide the suitable but various and vast educational contents. 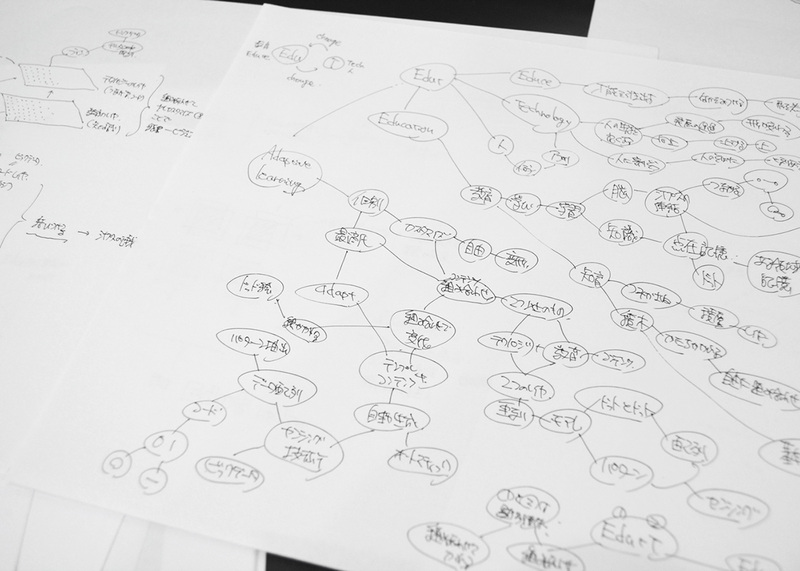 Also, students are grouped by academic level with tests prior to class selection, enabling the method to change teaching materials and methods depeding on class. However, such method is rough in granularity, making it far from ideal education many educators dream of. 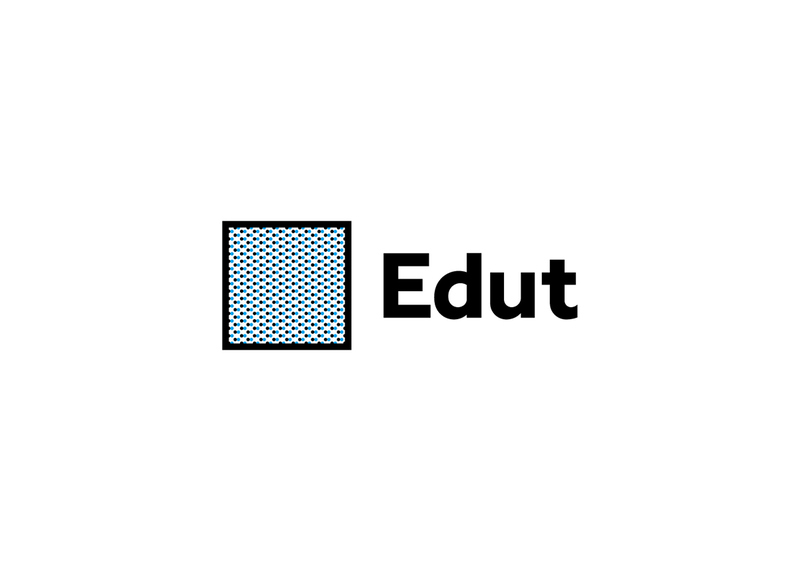 Adaptive learning by Edut enables providing optimized content for each person, according with the diversity of educational contents. 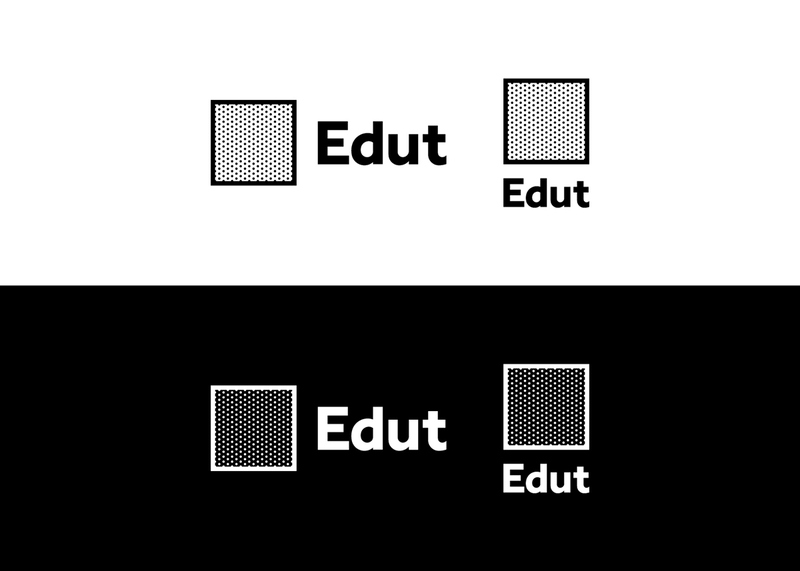 We made a replacement of this Edut service as an abstract diagram. 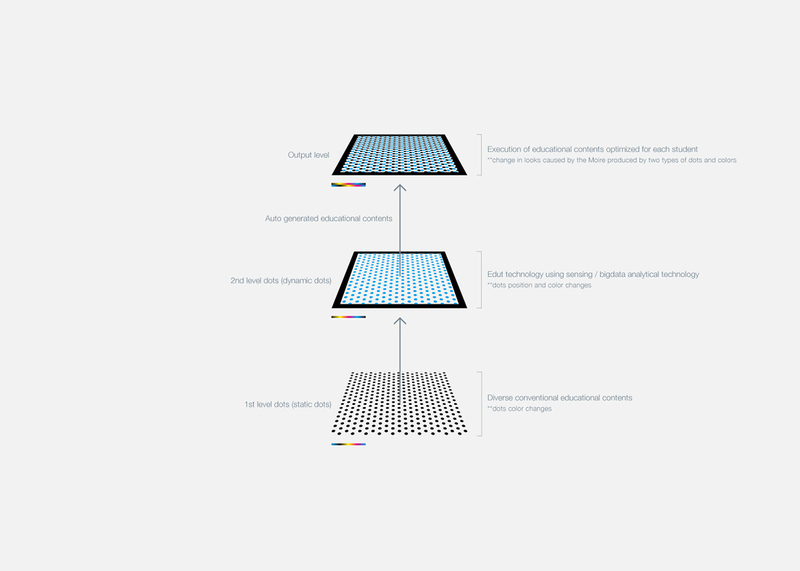 In doing so, dots were placed as the diverse contents and according Edut technology. 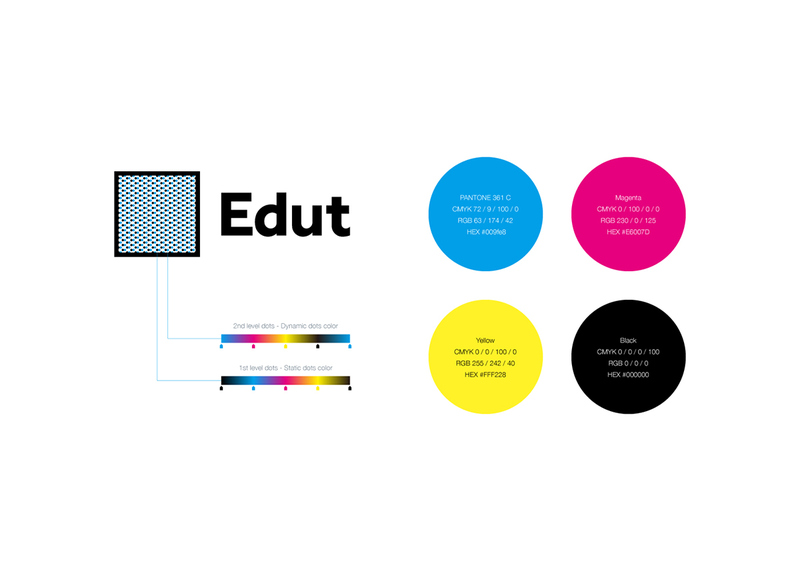 With this diagram, we thought Edut simbol should have the following elements. In order to express the above, symbol has to change statically and dynamically. 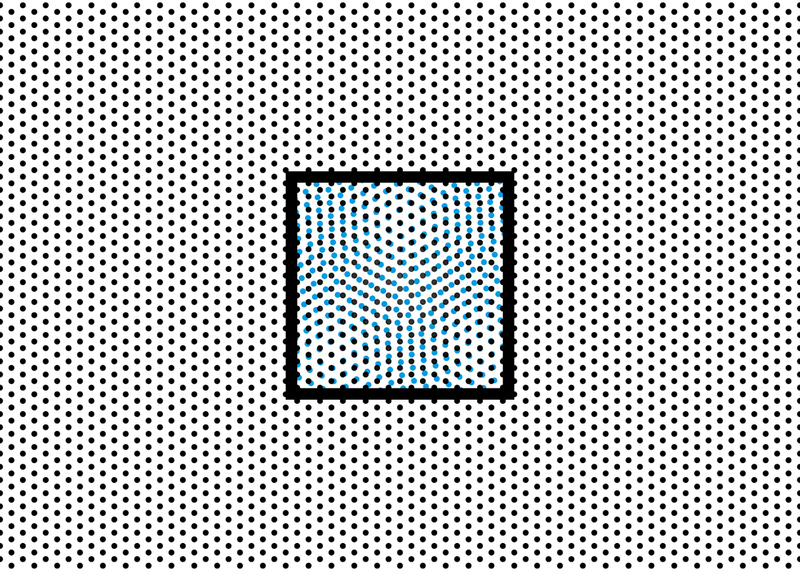 Static basic logo can exist as a logo. 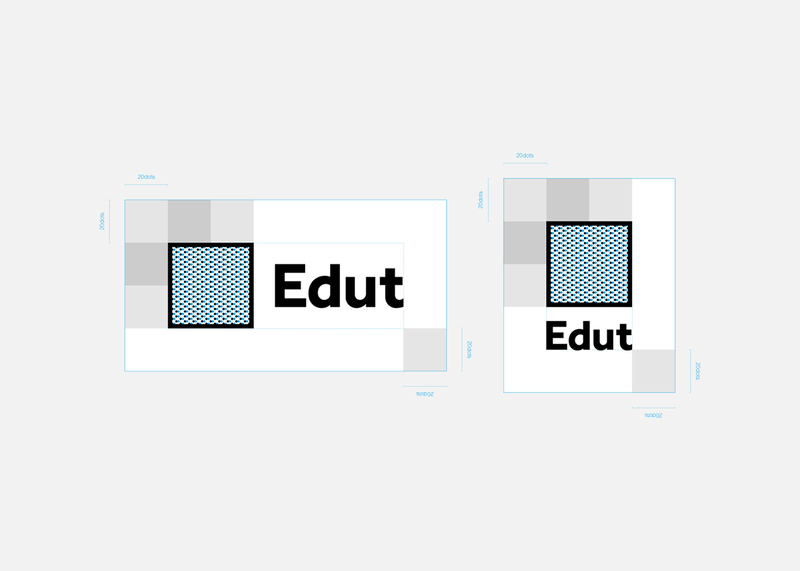 However, we thought the Moire produced by the static and dynamic layers of dots personify the adaptive learning by Edut. 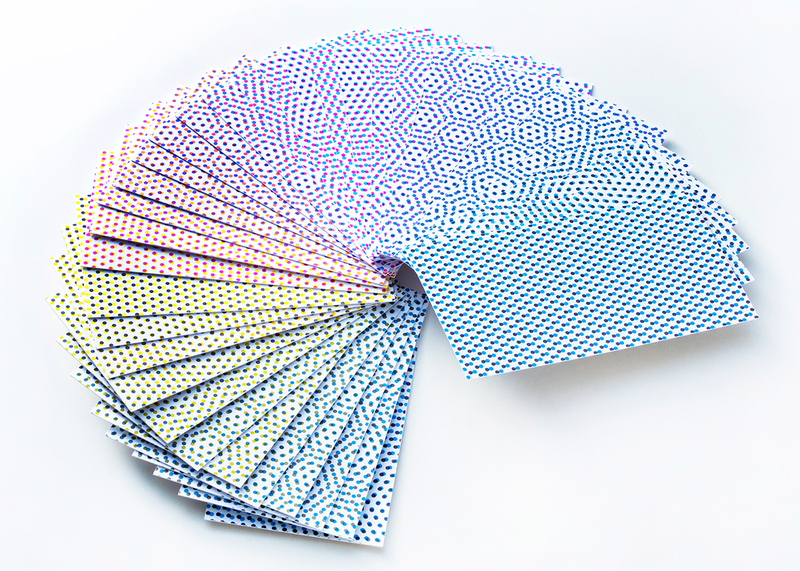 Patterns and color changes by the Moire effect created the logo with a simple shape but also visually unique. Also the Moire represents "Educe", the origin of word Edut meaning to draw out each students hiding talent and potential. 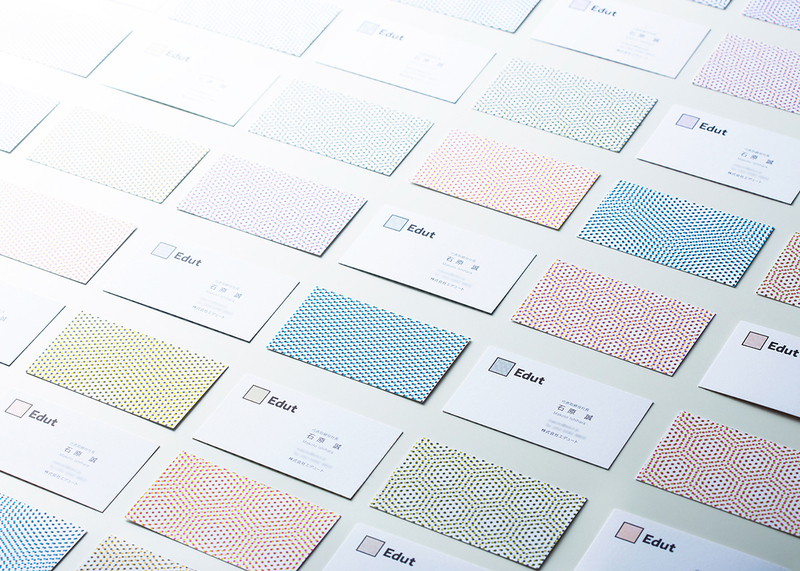 The diversity, produced by optimization expressed with symbols, is expressed as well in designing business cards and envelopes. 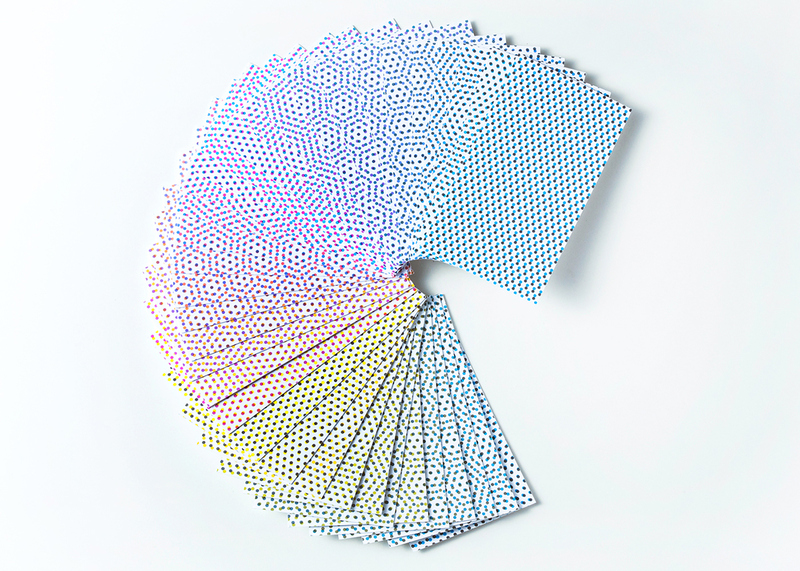 Business card provided to single personnel have 48 types since the difference of angles and colors. 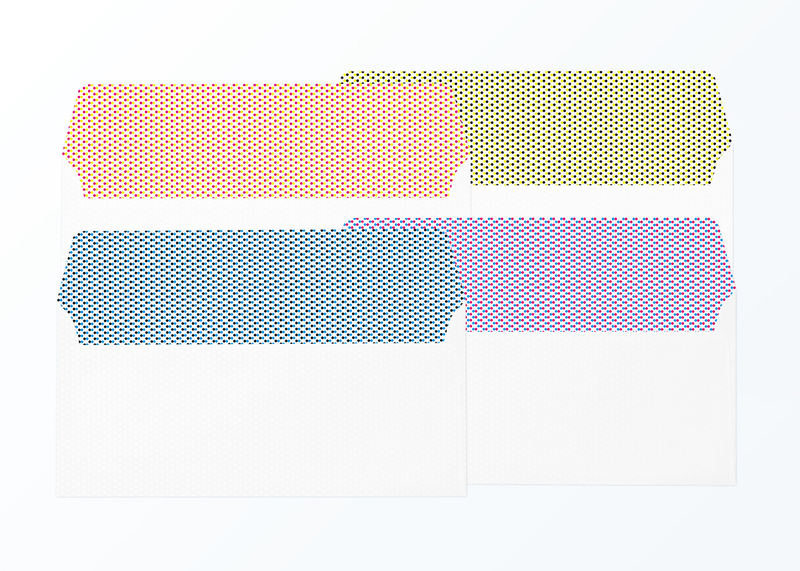 For the envelope, we adopted typical several types of dot combinations. 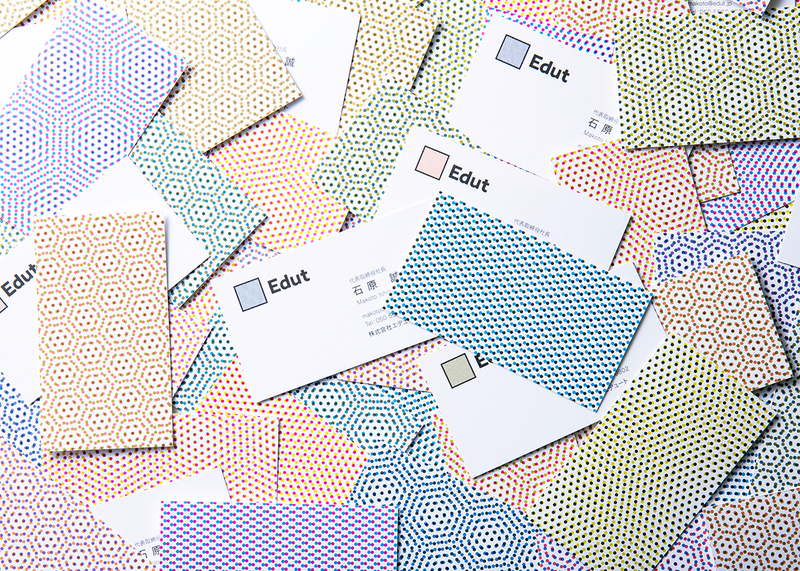 Agency: OUT AND ABOUT Co., Ltd.
hiromi maeo | enhanced Inc.
New identity development for Edut Edut is an educational content making platform for adaptive learning. 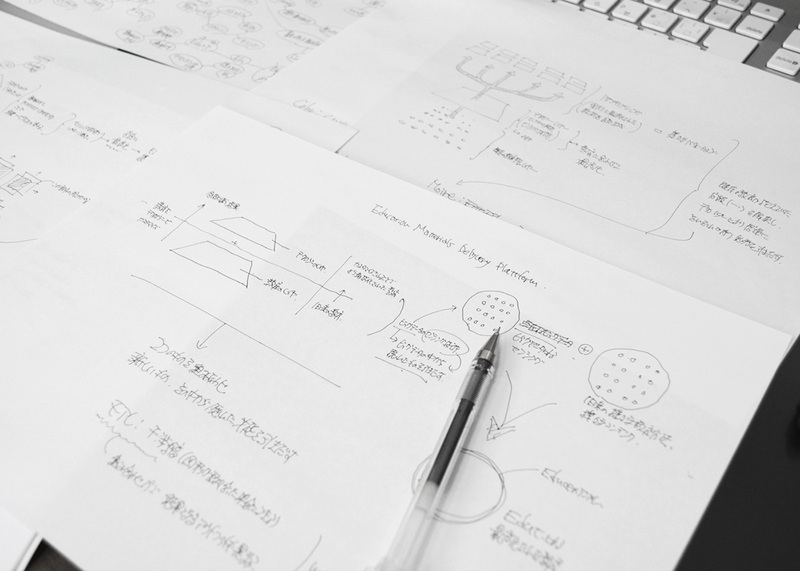 It solves problems that conventional education has been having by applying the big data analysis technology called sensing, which processes the characteristic patterns from data array. 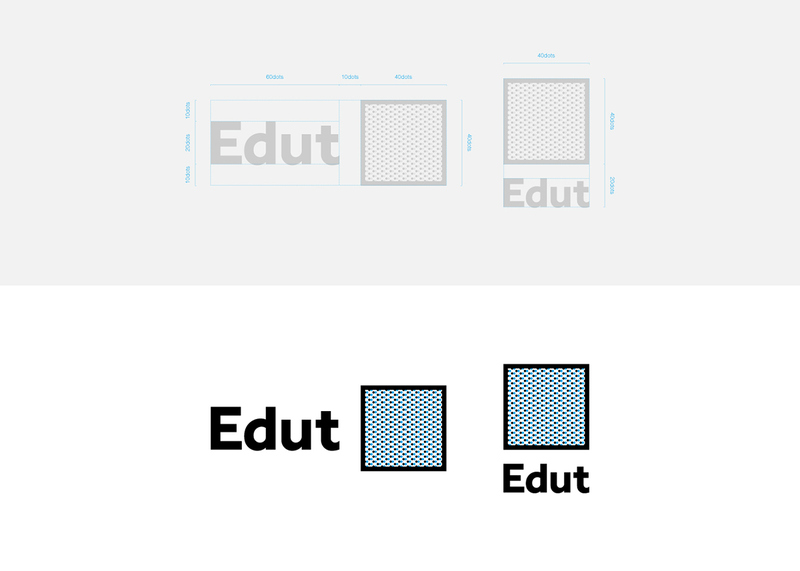 By uploading educational contents to Edut, education apps optimized to each person will be processed automatically for iPhone, iPad, Android, web services, etc. 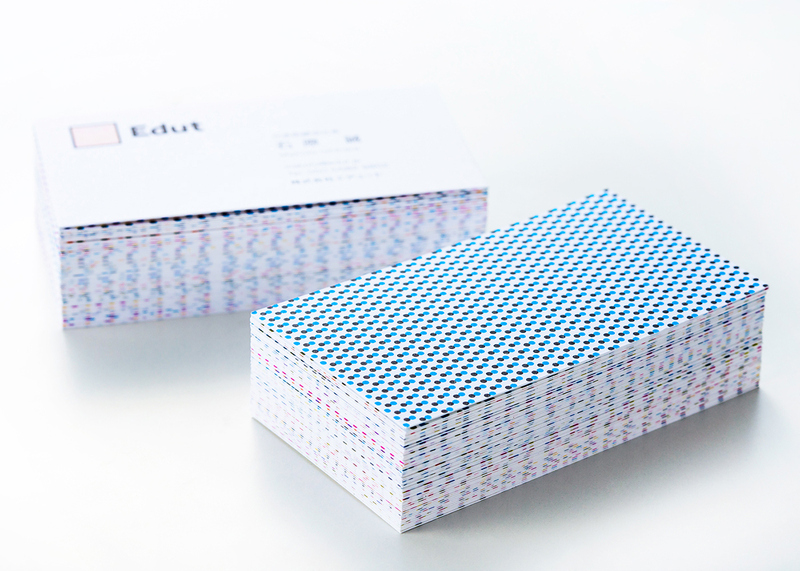 Edut won the grand prize in "Slogan Viling Ventures", the seed accelerator program for EdTech area in Japan. 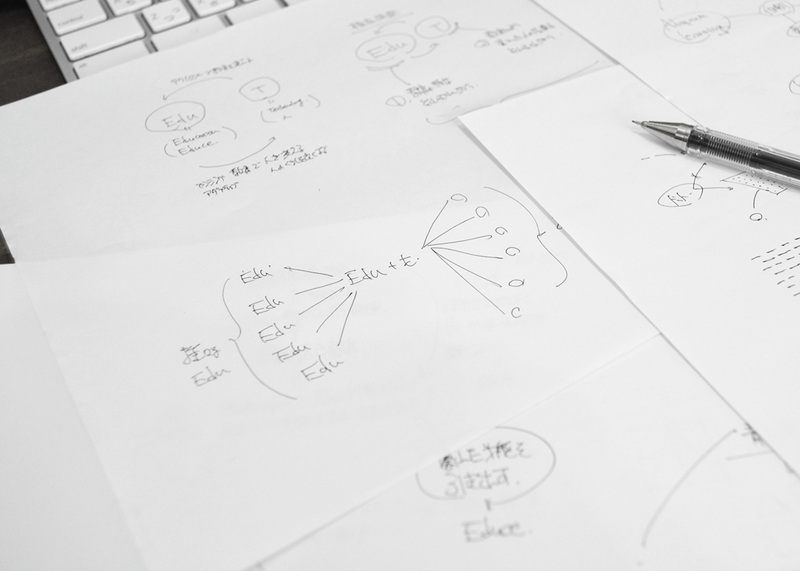 Enhanced Inc. participated in developing brand identity of this new service.